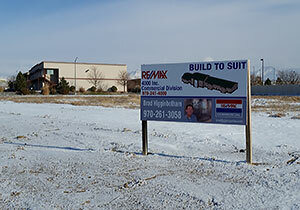 Design/Build, 8,533 SF office/warehouse building, includes 5,960 SF full finish office and 2,573 SF warehouse. 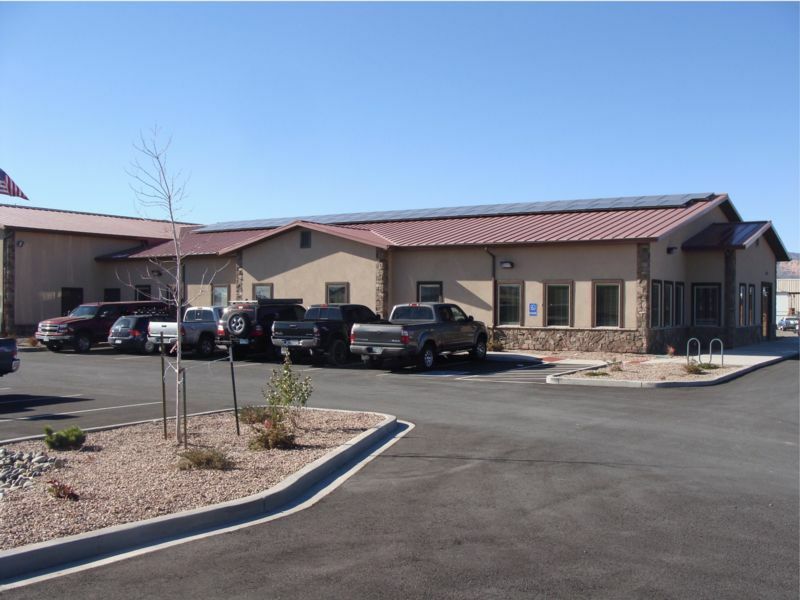 Mr. Lucero desired to go green with his new building and did so through the power of solar. The building was designed for the solar system installed on both the office and warehouse roof. This wood framed building features 16 offices, and large office area bull pin with 10 desk stations, conference room, break room, copy center, and file room. The lobby was completed with vaulted ceiling and garnet counter top at reception. The building is enhanced with two-tone stucco, and cultured stone wainscot and wrapped out-side corners. This turn key project also included 14,540 SF of asphalt parking lot with concrete sidewalks and curbing. The site was finished with 11,263 SF of landscaping, including a large detain-age pond for storm water. The yard on the back portion of the property was secured with 6' chain link fence with fabric screening.